[vc_row css_animation=”” row_type=”row” use_row_as_full_screen_section=”no” type=”full_width” angled_section=”no” text_align=”left” background_image_as_pattern=”without_pattern”][vc_column][vc_single_image image=”2396″ img_size=”full” alignment=”center” qode_css_animation=””][vc_empty_space][vc_column_text]April showers bring May flowers…roses to be exact! 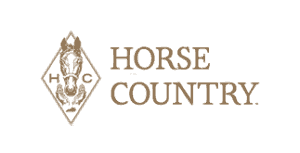 It is time for the 144th Run for the Roses at the Kentucky Derby and we are up to our withers with Horse Country connections. Maybe we are biased, but it is easy to get excited for the most thrilling 2 minutes in racing when the field hits so close to home. Bolt D’Oro – bred by WinStar, sired by Medaglia D’Oro who stands at Darley, raised and running on Hallway Feeds, bonus fact: he will stand stud at Spendthrift when he retires!